The Casket containing the remains of Andrew Felix Kaweesi before it was lowered to the grave in Kitwekyanjovu village in Lwengo district. 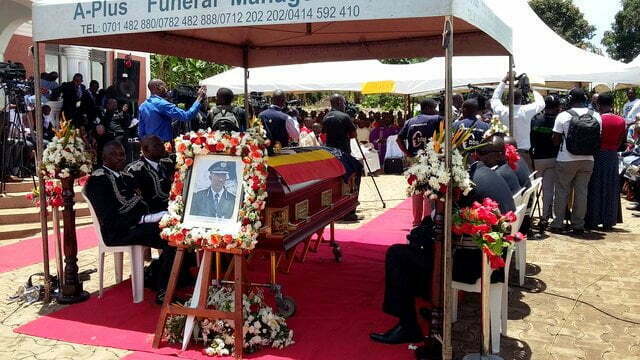 Assistant Inspector General of Police (AIGP) Andrew Felix Kaweesi has been buried at his ancestral home in Kitwekyanjovu village, Kyazanga sub county in Lwengo district. Kaweesi was given a 21-gun-salute on Tuesday as his body was lowered to the grave, bringing to an end a budding life and policing career cut short by assassins’ bullets four days ago. Thousands of mourners thronged Kitwekyanjovu to bid farewell to Kaweesi described by ordinary people as man of the people while Government officials called him as a hero. At only 43 years of age, and within just 16 years of service, Kaweesi had attained the second highest rank in the Uganda Police Force and served in some of the most sensitive and demanding positions in the force. But in the morning hours of Friday, March 17th, unknown assailants ambushed the car in which Kaweesi was travelling and sprayed it with bullets killing him instantly. His bodyguard Kenneth Erau and driver Godfrey Mambewa were also killed just hundreds of metres away from Kaweesi’s home in Kulambiro, Kampala. Among others Kaweesi had served as Commandant Police Training School, Kabalye, Kampala Metropolitan Police Director and Police Director of Operations. Until his death, he was combining the roles of Director of Human Resource Development and Spokesperson of the police force. These roles made Kaweesi one of the most recognisable faces of the police even at a time when the force was faulted for high-handedness especially when managing demonstrations in Kampala. In all this, however, Kaweesi’s dedication to his job earned him admirers as well as some critics. The final requiem mass led by Bishop John Baptist Kaggwa of Masaka Diocese preceded his final send off. Bishop Kaggwa described Kaweesi as man who loved his Catholic religion given the fact that he contributed immensely to its development projects. Kaggwa wondered how the killers could rain all those bullets on just one person adding that they must have been really annoyed. It has emerged that pathologists recovered up to 33 bullets inside the body of Corporal Erau who, in line with his duty, tried to shield his boss from danger. In the end they both died. During the mass, Bishop Kaggwa asked Government and God to Forgive the killers just like God forgives every one. But Lt General Henry Tukukunde, the Minister for Security disagreed with Bishop Kaggwa on forgiveness of the killers. Tumukunde said that Government is working hard to have the killers apprehended. He said that Government will get the killers even if it means getting them in the year 3017. General Kale Kayihura, the Inspector General of Police told mourners that one of the suspected killers was arrested last night near the Uganda border with the Democratic Republic of Congo and is in police custody. General Kayihura did not, however, disclose the particulars of the suspects. Kayihura described Kaweesi as a focused person who did his work professionally and effectively. He said that although the killers are jubilating his killing, he knows he is alive. Kayihura noted that the killing of Kaweesi has disturbed him so much because he is the only one who had managed to keep the image of police clean. Kayihura said he is struggling to find Kaweesi’s replacement given the fact that he had distanced himself from the critical media when the late was still alive. Kayihura also said police is going to construct a museum in honour of Andrew Felix Kaweesi. Works state minister General Edward Katumba Wamala, who was Kaweesi’s supervisor as Inspector General of Police between 2001 and 2005, has asked Ugandans to help with information regarding his killers. He noted with concern that some politicians have started politicizing his death. 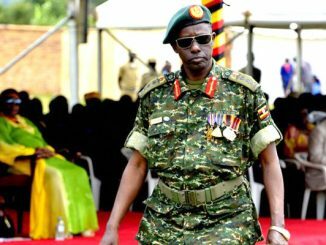 Genera Wamala, who until recently was Chief of Defence Forces, also took a swipe at some sections of the media that are spreading what he called disturbing images of Kaweesi after his brutal murder saying they are disrespecting the family and relatives. Wamala described Kaweesi as one of the very first officers he recruited and turned out to be very professional. General Jeje Odongo, the Minister of Internal Affairs consoled the family of Kaweesi and promised that government shall support the orphans to realize their dreams. George Mutabaazi, the Lwengo district Chairman said that the district is planning to construct a Seed secondary school in Kyazanga sub county and name it Andrew Kaweesi in honour of his service to the district. Kaweesi leaves behind a widow, Annet and four children; two of whom are girls. 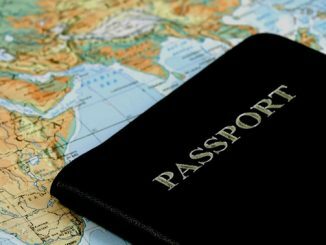 The widow, who is expecting their fifth child, is expected to undergo a caesarean operation on Wednesday. 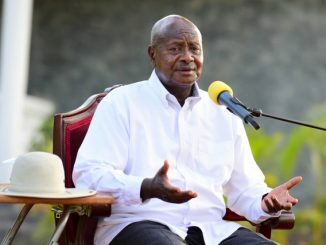 Can legal committee stop Uganda’s age limit amendment?